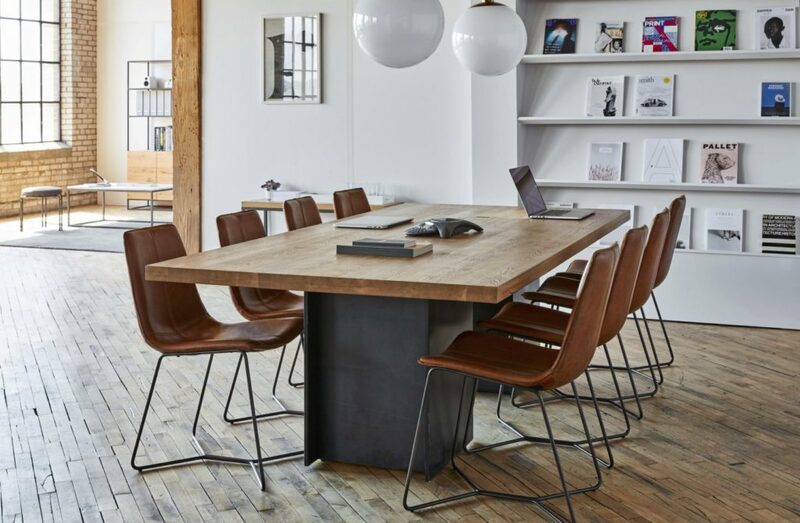 With the rising interest to improve workplace design to better shape client and employee retention, Holt Environments has uncovered these top five contemporary office design trends that our clients are adopting to enhance B2B, B2C, and internal employee relationships. Corporate office design is saying “no” to the cold and stale cube farm of the past as the “home away from home” design trend takes favor. It is no secret that technology is constantly evolving. With this evolution we are finding that companies are using creative ways to further their sales and educational tactics. A rise in interactive properties, such as object and rfid touch recognition, proves to influence a more personal and memorable approach. 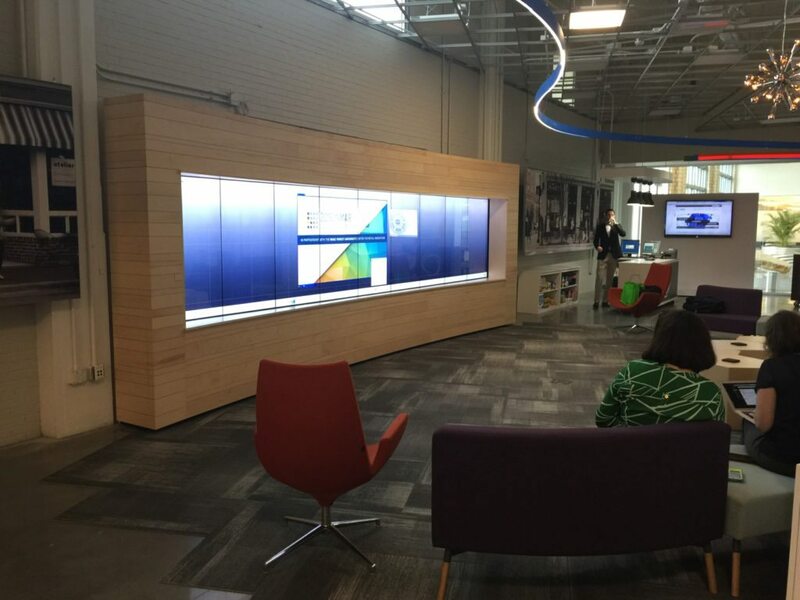 Inmar’s Innovation Lab holds a large, multi-user, touch screen that meeting attendees can connect to wirelessly to display and share digital content or to walk through an interactive timeline of the company’s milestone achievements. Offices provide the privacy needed to get work done, but often lack space for collaborative teamwork. Designing a creative collaboration area, extending past the common conference room table, gives employees an environment that encourages open discussion and ideation. 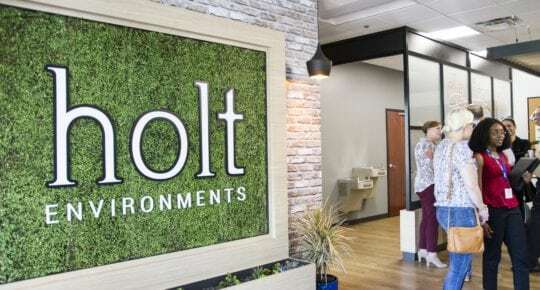 Scott Safety’s vision of a conversational environment pushed Holt Environments to create a series of shared worktables surrounded by brand elements for their contemporary office design. 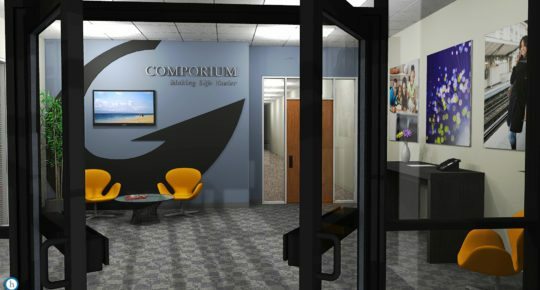 This space encourages their engineers to brainstorm and collaborate in more efficient ways in order to dream up the next generation of innovative products and services. Bring the outdoors in by incorporating natural textures. Wood, stone, and plant textures help to create an inviting environment. There are simple ways of doing this without turning your office into an actual jungle. One simple way is to add natural textures to the walls. 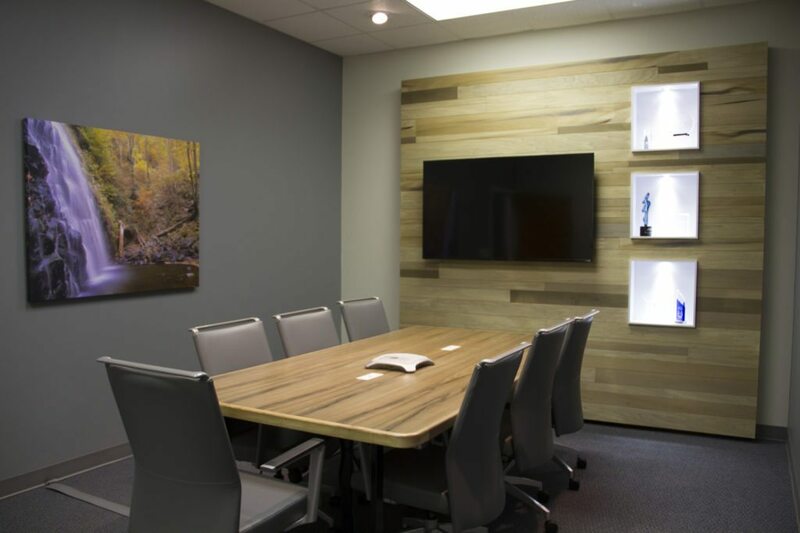 Holt Environments renovated their Raleigh conference room into a warm and inviting meeting space by utilizing wood textures and natural canvas prints in a room with no windows. Installing inexpensive LED tape and directional spot lighting can transform a dull and flat room into a dynamic and energetic brand experience. 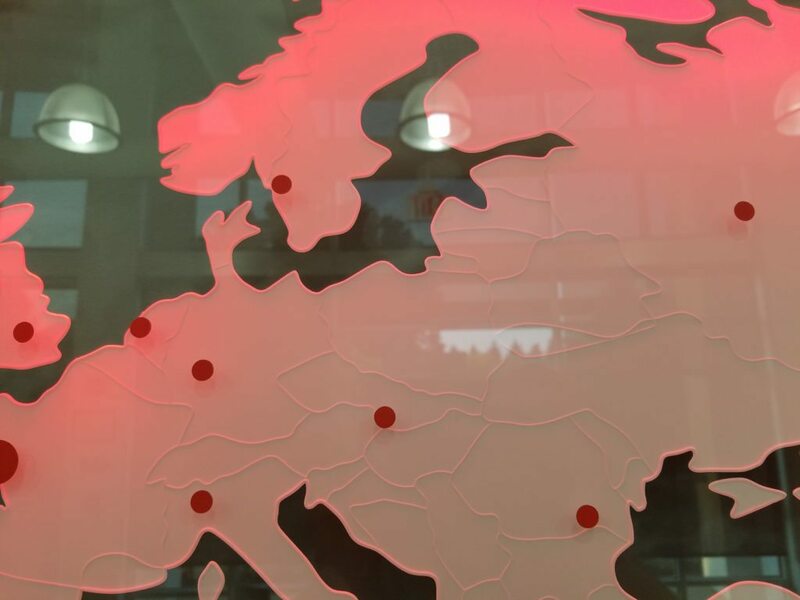 As an example, Holt Environments built and installed this corporate locations map wall in the lobby of the new Desoutter Innovation Center in Rock Hill, South Carolina. 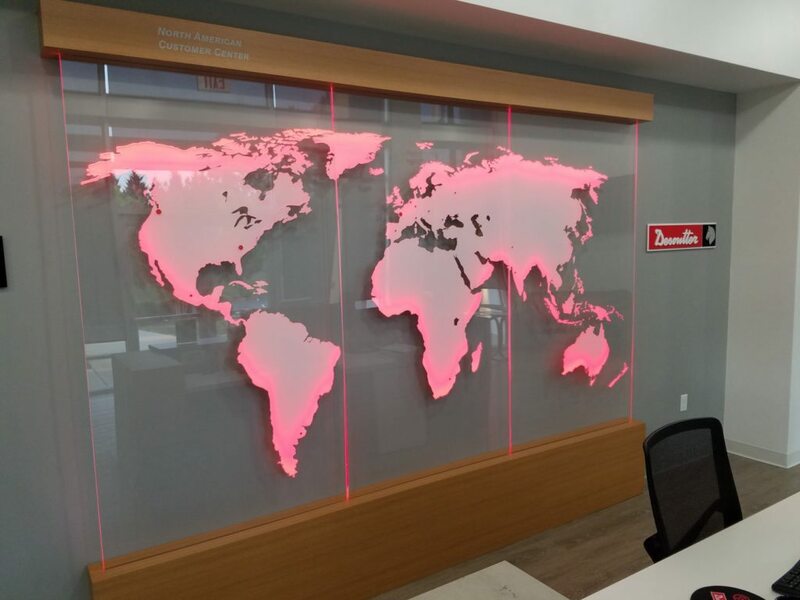 Comprised of three large edge-lit CNC-cut acrylic panels, this map glows when illuminated and highlights the company’s manufacturing facilities and service centers around the world. 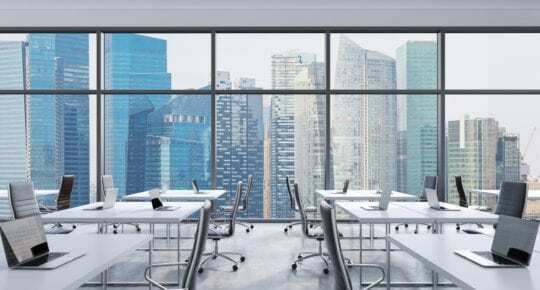 With the adoption of mobile technology and cloud-based enterprise management software within the workplace, the static, evenly-partitioned office of the past has changed dramatically within the last five to ten years. People can physically work anywhere these days. And while the trend of the total open office has been transformational towards the complete opposite pole in design, it came with its limits too, mostly by excluding private areas for reflection, contemplation, and focused work. 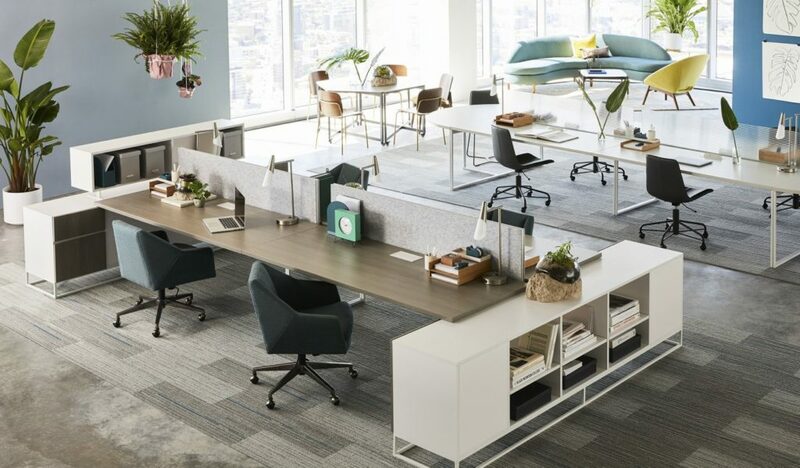 Companies today are looking for a balanced mix of open and private office space, unassigned landing spaces for a pop-in mobile workforce, and comfortable residential looking furniture. Making the office a “home away from home” is becoming a priority more frequently in contemporary office design, and it is an expectation for the next generation millennial workforce.